And secondly… What kind of message is that? Treating your podcast as something optional/disposable reduces it’s inherent value in the minds of your audience. There’s a lot of free podcasts out there. Too many, actually. Don’t do potential listeners any favors by encouraging them seek more substantial entertainment elsewhere. 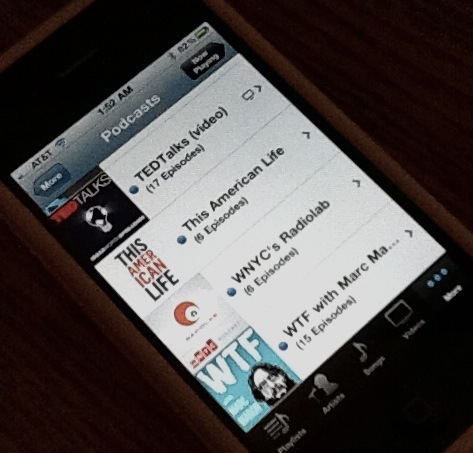 But most importantly… There’s a fallacy in thinking podcasts are free to consume. They do have a cost: Time. Podcast listeners tend to like variety. The more they feel one podcast monopolizes their time, the more they question its value. For you business majors out there, I’ll submit that podcasts are a prime example of the law of diminishing marginal utility. I also believe there’s another business theory at play. It’s called the “paradox of choice.” In a nutshell, it’s the belief that people love options, but they hate actually making decisions. I learned about it in a podcast. Put those two business theories together and you get “Less is more.” The truest words in writing. The podcasts I never miss are those that tend to run less than an hour and don’t post more than once a week (except for special occasions). Anything else I’ll only download if time permits and there’s a topic/guest I’m really interested in. But that’s just me. Individual results may vary. Side note: I know some of the most popular podcasts go way over an hour or post way more than a couple times a week or — in the case of the most popular podcast out there — both. It’s amazing what you can get away with if you’ve been on TV for over a decade and were once designated the heir apparent to Howard Stern. But that’s not you. Chances are, your podcast is supposed to offer some entertainment value to people. The rules for what constitutes “entertainment” don’t change just because we’re in a new medium. Boring stuff isn’t entertaining. Too many podcasters out there just love to hear the sound of their own voice. They excuse every dull, glitchy, or unprofessional moment as something real or authentic they’ll keep in because that’s “who they are.” That’s B.S. They’re just being lazy. If you have the tools to make a podcast, you’ve also got the tools to make a good podcast. Use them all. Not just the microphone and the record button. I certainly have listener fatigue, and wish that the podcasts I enjoy followed your advice. But aren’t there some incentives out there working against that model, like maximizing the number of subscribers and maximizing advertising revenue?